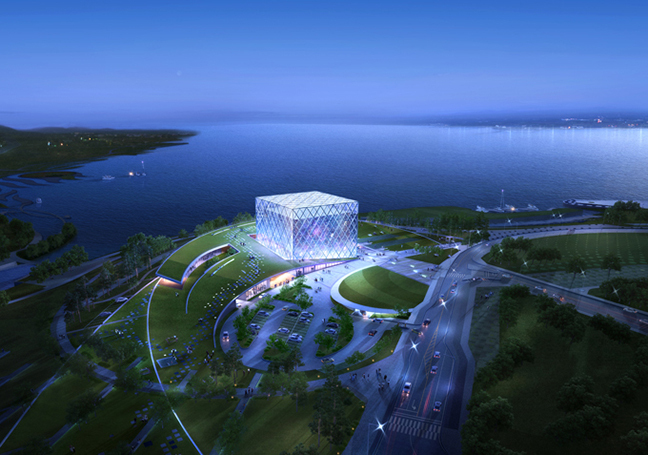 SAMOO contains presidential archive of South Korea in transparent glass cube. The design focuses on using pure geometry to symbolize the significance of the Presidential Archives. 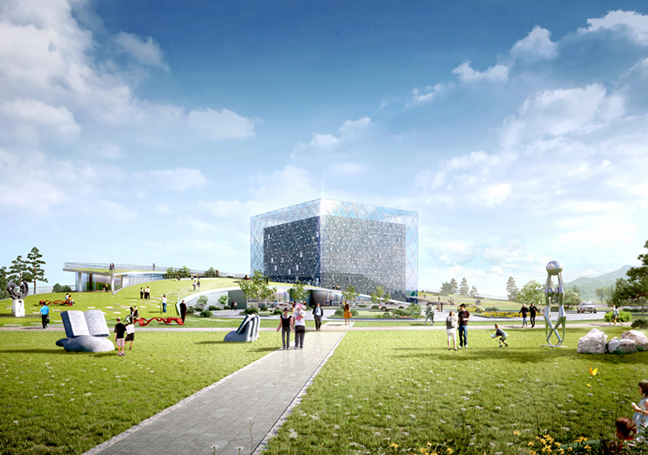 It aims to provide a green network linking the facility to the surroundings, creating a new cultural playground for visitors. This “Timeless Cube” represents “the Great Seal”. 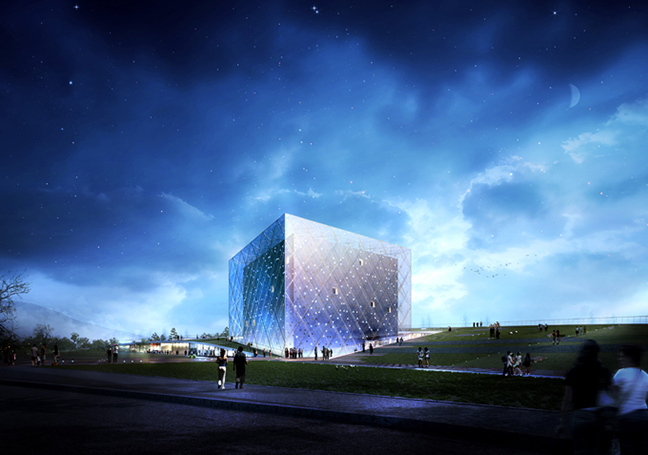 As a new landmark of the MAC (Multi-functional Administrative City), it utilizes various sustainable technologies that enable natural ventilation and lower energy consumption.